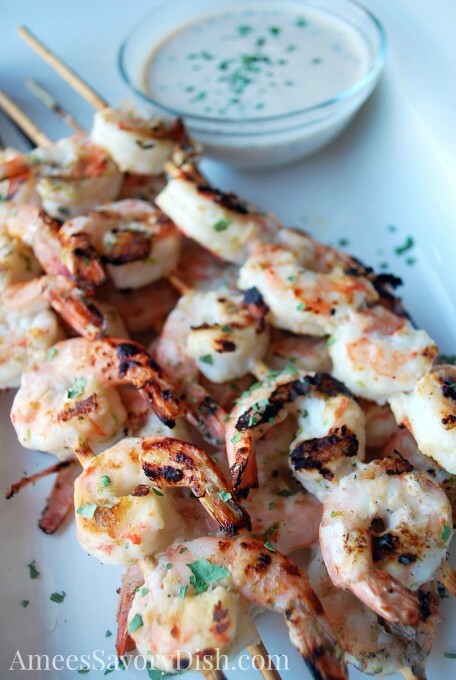 Grilled Asian Shrimp Skewers is an easy dinner recipe from the cookbook, The Greek Yogurt Kitchen. Creative, inspiring, diverse, tempting are all words I would use to describe The Greek Yogurt Kitchen by Toby Amidor MS,RD, CDN of Toby Amidor Nutrition. Toby sent me her book about a month ago, after we met in Denver at a Beef Bureau meeting. I couldn’t wait to go through it, try out some recipes and share a favorite with you. It’s hard to pick one favorite from her collection of over 130 delicious and healthy creations, but this grilled shrimp dish is a “must try” recipe. It’s simple, nutritious and full of great flavor. In this cookbook, you’ll find everything from appetizers to desserts, demonstrating the versatility and tasty possibilities of one of America’s favorite power foods! Try this grill Asian shrimp skewers recipe and I think you’ll find that it’s a healthy, easy weeknight dinner that the whole family will love! You can grab your own copy of “The Greek Yogurt Kitchen” on Amazon and get inspired to cook with yogurt! 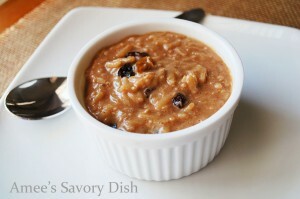 For dessert, Coconut Chia Brown Rice Pudding would be delicious! Thank you Shea! I feel the same way about Sriracha!! What is “fish sauce” ? Hi Anne! It’s a Thai cooking sauce. Look for it in the Asian section of the grocery store.